grandma's cookie jar: 2014 Christmas Give-Away - Shutterfly Glass Photo Ornament! 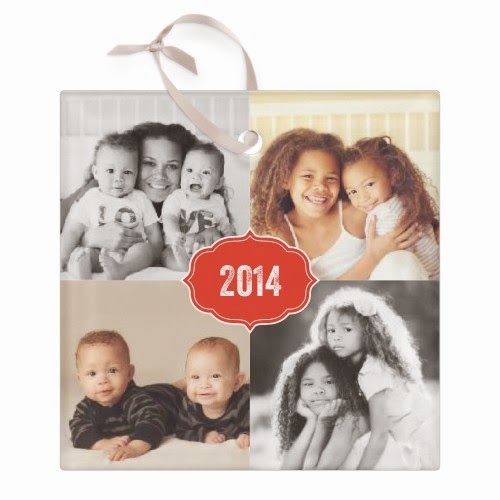 2014 Christmas Give-Away - Shutterfly Glass Photo Ornament! 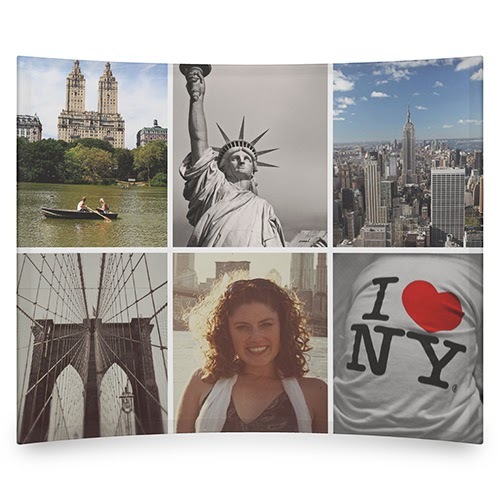 Over the years I've had the opportunity to review a number of items from Shutterfly - I love things with photos of my family on them, so I'm a huge fan of Shutterfly. As I thought about this year's Christmas Gift Review I knew I wanted to include something from Shutterfly again, if items were available for review. Happily, Shutterfly made several items available for me to review - and a really great item for a give-away, too! The first one I'm excited to share with you is their new Curved Glass Print! There are several options available for size, design and the number of photos you include on your print (I got the Gallery of Six in a 7x10). It was so easy to select and place the photos I wanted included and place my order - I was shocked to see it arrive in just two days!!! And, the quality of the photos is excellent! This is a beautiful print and one which will make a great gift for someone on my list! If you are looking for a gift which will be loved for years and years, definitely check the glass prints out from Shutterfly! They are amazing! The second item I got for review was their Pewter Photo Keychain. I've been curious about this for some time - I thought maybe the photo would be too small to be crisp and clear and it might have a "cheap" feel to it, but I am so pleased to say the quality of the keychain and the print are excellent! The photo is crisp and clear and even though it is small, it is perfect! 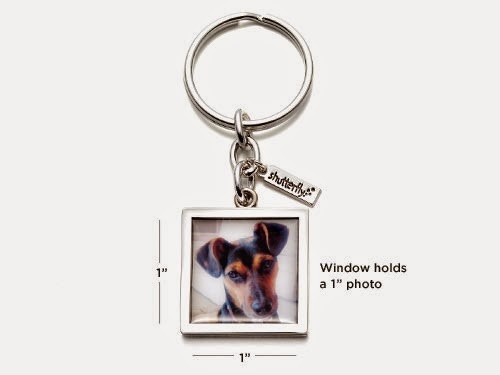 This Pewter Photo Keychain was easy to order, arrived in just a few days and would make an excellent gift for any grandma or mom on your gift list! The third item I was able to review this year - and the one I will also be giving away, is their new glass, photo ornament! Once again, there are a number of different styles, shapes of ornaments available; I chose the Textured Year Square Glass Ornament because I could put four photos on it! I can not even begin to say how much I love this ornament! It was easy to order, arrived in just a few days and the quality is excellent! The photos are clear, look wonderful and while it can certainly be used on a tree, after Christmas it could also be hung in a window as a suncatcher! I LOVE this ornament; it is truly a quality gift for anyone on your list and a gift which will be treasured for sure! As I mentioned the Glass Photo Ornament is the item which I will be giving away this year! (USA only) It is the perfect addition to my 2014 Christmas Gift Review and Give-Away, because whether you get it for yourself or to give as a gift, it will be enjoyed for years to come! If you win, you will be able to order the ornament you choose with the photos you love! So, if you are over the age of 18 and would like to be in the drawing for the Glass Photo Ornament, which will be on November 26, 2014, please comment below to let me know who's photo you'd put on your ornament - I chose the ornament with four photo spaces, so I had one of each of my grandsons and one with all three of them together! In addition, you will receive additional entries if you have followed on Google+, Google Friend Connect, followed by liking on facebook with the tab at this link (not just liking the post) and/or have followed grandma's cookie jar by email. For each of these which you have done you will receive one entry. In addition, if you "share" this post, you'll receive an additional entry (please let me know if you share). This will help me be able to draw names from among people who would like to win the Glass Photo Ornament and it gives you several ways to enter the give-away! I would put this together for my graduating grandson with pictures from throughout his life starting at age seven...when he was adopted into our family. I follow on fb and email. I would use pictures of my three daughters and myself and give it to my husband.